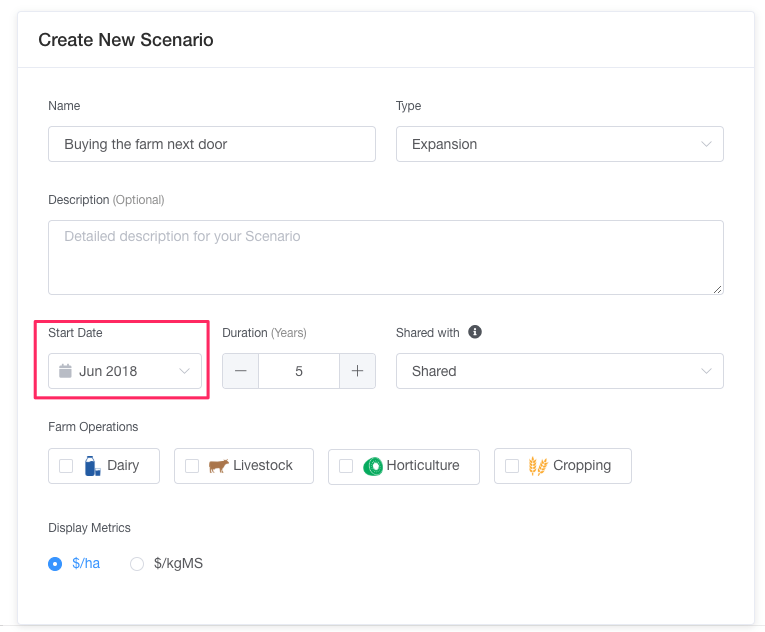 When you setup your scenario on your Figured farm, you'll be prompted to enter how many years you wish for your scenario to run for. The length of your scenario cannot be changed once you've set it up, so you'll need to ensure this is correct before you proceed. Otherwise you will need to create a new scenario with the desired length. You have the ability to copy the existing scenario and increase the length of it.